Power tools are designed to help make work easier. If you are considering boring holes on different materials, having a best corded drill will make your work easier. Having more information about the types of drills available will help you avoid the confusion when buying. You might be asking yourself, why you need to buy a corded drill when there are cordless models that are portable making it easy to use them almost everywhere? The truth is, there are so many benefits that are associated with either of corded drills. 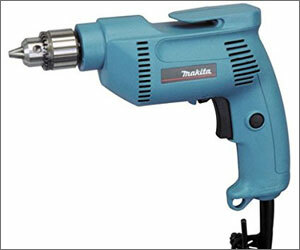 The main aim of these corded drill reviews is to provide you with detailed information of drill machine on the market. We have reviewed to 14 products with high ratings and positive customer feedback so it will be a simple task for you to make comparisons and select the most suitable product. Here is our 4 top pick among the reviewed products. Count yourself lucky if you have any of them. 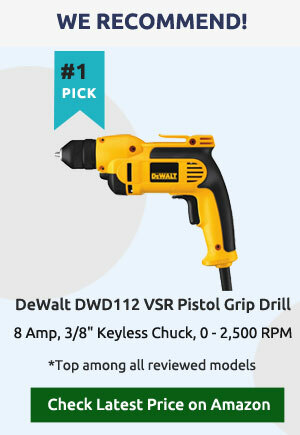 Our top most corded drill that you need to add in your toolkit is the DEWALT DWD112. The drill comes from one of the best companies that specialize in providing users with very useful power tools. The best thing about this drill is its versatility and user friendliness so no more stress at work. It is easy to use, and there are a lot of top features that you will also appreciate. The power of the motor determines how effective a drill will be. If you are looking for a perfect unit with enough power to handle tough jobs, this is the right model to get. It features a 8 amp motor that is well suited for the most difficult drilling jobs. For wood, it has a capacity of 1 inch with a hole saw, and 3/8-inch capacity – for working with steel. The best power tools should provide you with easy control when using them. Having a heavy tool can end up compromising the quality of your work. This is why this model features a lightweight design making it easy to use and store. For you to control the drill when using this, there is a metal cartridge for fixing bits. It will keep the bit tight and increase a productivity. To provide you with work versatility, this drill offers you with variable speeds ranging from 0-2500 rpm. On top of that, there is also 100 percent ball bearing construction that keeps the drill in the right condition regardless of the work you are doing. One of the things that I appreciate most when using this drill in my workshop is the soft grip handle design. The handle provides ample space and enough comfort when holding hence so you will not end up getting fatigued on your hands and wrists. The weight of VSR Pistol-Grip Drill is only 4.1 pounds, and the use becomes comfortable when in contact with the soft handle. Hands will not be sick of prolonged use. I noticed the high performance of this drill even when working with sturdy surfaces due to a powerful 8-ampere motor. The metal ratchet holder reduces the time to fix the bits and holds it tight. It’s so powerful that I used it as a brick and the drill worked. The design is very light and there is no gravity even after a long work because of the ball bearing design. DEWALT DWD112 seemed universal because variable speed allows me to take the right amount of speed specifically for a certain surface. Drill bits may get stuck sometimes. But I think every drill machine has a chance to get stuck. Comes without drill bits. You should purchase bits. Another highly rated brand that you trust for quality power tools is Black & Decker. The company produces a wide range of drills designed to offer you with an incredible performance at the work site. 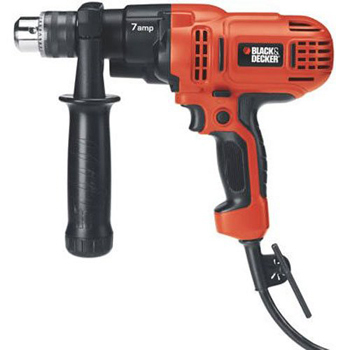 The Black & Decker DR670 corded hammer drill which is a perfect tool for drilling brick and concrete. More details about this hammer drill are provided as follows. This corded drill machine will provide you with a better performance when drilling metal and plastic. With its pistol grip design, you get maximum balance and control, and this ensures that you achieve the best drilling results. By the way, the handle is lateral and has a rod of depth, which can control the depth and clarity. This is another included feature that enhances the performance of the drill. The hammer action offers you with power and speed that you require when drilling hard materials such as brick and concrete. The drill machine is powered by a 6 amp motor that gives the necessary power to handle simple to tough jobs. Its compact design also makes it easier to get into tight spaces that other drills cannot. Frequent drill turns make this drill ideal for drilling bricks and concrete. In work, I can control the movement of the drill through a convenient design that provides balance. Adjustable speed was a very pleasant option, which allowed me to operate the device. The metal keyless cartridge saved my time for a tight fixation of the bit. I like a “hammer action” whereby Hammer Drill becomes ultra-universal. Sometimes drill gets hot but this is not a big deal I think. Owning a power drill will one day help you when you want to handle a home renovation project on your own. It is important if you choose a tool that will serve you for many more years to come. Dewalt provides you with an affordable yet high performing drill that can be subjected to hard applications. The Dewalt DWE1014 is a heavy duty model which is easy to use and has the following features. This drill is perfect for home and professional services. With its 7 amp powerful motor, you can be sure of handling any drilling task at hand. Another feature of the motor is that it does not overheat. Lightweight power drill offer the best performance. Because the drill doesn’t have a battery, you will not get tired when working as compared to cordless drills. And the lack of batteries increases the mobility of the drill. With such a lightweight design, it is easy to use the machine for an extended period. You want a machine that offers a greater versatility at work. This is why this model provides you with a variable speed trigger switch making it highly versatile. Always ensure that your drill has a comfortable grip if you want to get the best out of it. Using this drill gives you the expected results because of its comfortable grip that enhances its use. The handle has a lock button for complete control of the work process. I was not fatigued by using this drill because of the compact grip design, so the weight seemed easy to me. The locking switch made it easier for me, and I was able to use it in advanced mode. The function of the variable speed switch makes this drill universal, so my experience has shown that Dewalt DWE1014 works well, both with brick as well as with wood. Very powerful motor that does not heat the drill even with prolonged use. Comes without drill case. You can buy separately. The drills are not included with the drill kit and I had to buy it additionally. Corded drills are important power tools that can help you tackle any job at hand. They come with indispensable power hence making them a heavy duty as compared to the cordless models. Enjoy top quality drilling with the Bosch 1006VSR drill. This high quality drill is perfect for drilling even in tight spaces, and it is also very easy to use. 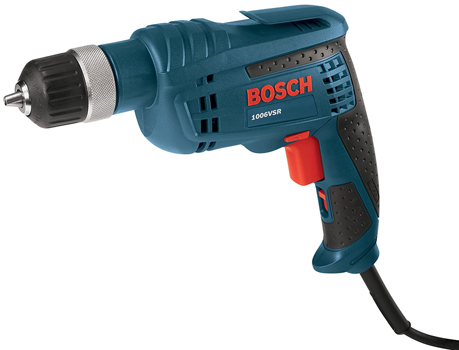 Bosch 1006VSR is another best corded drill for woodworking and home use projects. This powerful engine works with 6.3 AMP This is enough power required to handle even the most complicated drilling work. If you are planning on drilling holes on a relatively hard material, expect the best outcome with this machine. When you are working, you need to hold your drill well such that there are no vibrations that can affect the quality of work. This drill comes with a very comfortable soft grip handle that enhances easy control. 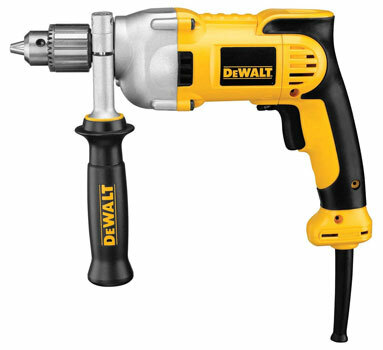 The convenience of the handle provides an easy arrangement of 4.3 pounds (the whole drill) in the hand. The speed of the drill is satisfying. It has a maximum speed of 2600 rpm which is adequate for the best drilling performance. This is a nice safety feature on the handle of the drill that prevents accidental locks from happening. Work confidently bearing in mind that you have a safe and powerful machine. I checked the versatility and it is possible to change the minimum and maximum speed, so that it is suitable for drilling any surface. The keyless cartridge does not make any slip even for a long time. Now I should not be afraid that I can accidentally lock Corded Drill, because the lock switch is deep in the handle. It was convenient for me to work with this drill because of the 2-finger trigger mechanism when I need to change the speed frequently. Comes with 8 feet high quality power cord. I was not able to use this drill at 220 volts. Makes noise sometimes and this is the minor issue I think. In the middle of the workflow, the trigger freezes and then restores the operation to full speed. 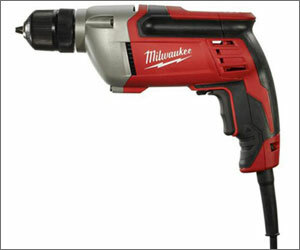 The Milwaukee 0240-20 3/8 Inch Drill is one of the best corded drill for home use at a low price with powerful motor. Therefore, this is why you can easily rely on it for various kinds of hard drilling. It is a useful drill within affordable price. It has a powerful motor of 8.0 amp potent motor which can deliver you up to 2800 rpm with variable speed for super faster, better and accurate drilling and ideal for heavy duty usage. This product has a durable metal gear case inside it. It provides a superior gear support applications needed high torque. A soft grip handle and also a two fingered trigger which makes the use of this drill so much easier. So, of course, this is the best choice of practitioners. Drills are very useful power tools you need to drill holes on different materials. There are many drill brands on the market, and sometimes it is hard to know which one fits your needs best. 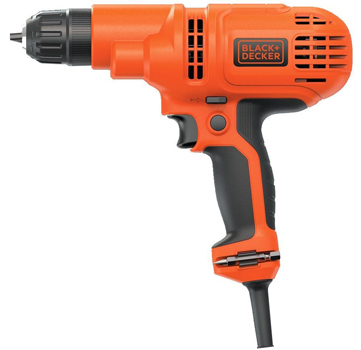 To save you the trouble selecting the best corded drill, let me brief you about the Black & Decker DR260C 5.2-Amp Drill, which one has very low price tag that I have used for a couple of years now. The drill works well, and I believe this short review will help you get some important details about this product. The comfort of your drill plays a huge role on how you will perform at work. To lessen fatigue and improve the number of hours that you will work, the drill makes it possible because it has a very comfortable overmold grip. Motor power is 5.2 amp. This drill best suits people who want to perform simple and big household drilling tasks. The motor provides enough power that will help you complete your projects in time. Sometimes you will need to adjust the drilling speed to suit a variety of materials. This is made possible because of the variable speed control that the drill provides you when drilling. Thus, the variable speed of the drill can range from 0 to 1500 rpm. Many handymen love using this drill to do their work because the keyless chuck provides an easy time when changing the bits as compared to those models that come with a keyed chuck. In addition, it has a Board Bit Storage. I noticed that the drill does not heat up and remains cool for a long time. Excessive bit dragging is not possible here since the cartridge is adjustable and prevents it. Careful control of the variable speed switch seems to me necessary for better accuracy, and it’s here. This is conveniently set to a specific speed using the lock button. It is excellent when grinding. I find this weight a little heavy for manual use. The drill bit is at the bottom of the handle and it is unsafe and can damage the arm. Have you ever wondered how life would be if we didn’t have tools? Of course, life would be very hard because tools allow us to do our work with ease while providing fast results. You might be planning on starting a home renovation project or finishing a new house, and you have no idea what tool you will use for drilling holes. I’m here to help you by providing you with more information about the Black & Decker BDEDMT Matrix AC Drill. Many people who have used this drill praise its high performance as well as excellent features which are mentioned below. The 4.0 amp motor of the drill provides the necessary power that you require to handle different applications. If you are having simple projects, this drill will best suit you. Its lightweight design makes it easier for users to carry out the tasks to perfection. It is also very compact to allow you perform drilling and driving tasks even in the tightest spaces. This is my favorite corded drill for home use. This top notch drill features 11 position clutch that provides additional control when you are at work. This means that there will be no stripping or over-driving screws. Isn’t that awesome? And additional control is required when working with different surfaces because the drill can have from 0 to 1200 rpm. This is another unique feature that is not common in other drills that greatly gives room for a tool-free change in different tool attachments. This is very budget friendly best corded drill driver with clutch. I used the Matrix Quick Connect System, which allows me to change various settings without tools, and it seems most convenient. The motor is powerful enough for different surfaces, despite 4 amperes. I had enough of this. I was able to use this in a very limited place because of the light and very compact design of the drill. It was easy for me to operate this drill and not get stripping and inverted screws due to the positional clutch. The cord does not give excess weight, and Matrix AC Drill has deprived me of problems with the constantly ending charge from the battery. This s not a variable speed drill. Comes without drill case but you can buy case later. The PORTER-CABLE PC600D is another competitive variable speed electric drill on the market that works well especially on demanding tasks. The drill will best suit you if you are handling both home and professional drilling jobs. In this Porter Cable PC600D Review, you will find some amazing features equipped on the model. It has a powerful 6 AMP motor that provides enough power to handle simple to most complicated drilling tasks. Always expect the best drilling results when using this tool. Six feet long high-quality power cord is also provided here to bring this motor into working condition. The drill provides you with variable speed trigger from 2 to 2500 rpm. This allows you to get the best results when you are drilling or driving. For you to get an easy time and control when working, the handle of the drill is very comfortable and provides you with a perfect grip. To add on to that, this drill features a belt clip that keeps it secure during work. By the way, this device is two-handed, so you can redirect the weight to both hands. The 6.5-amp motor can withstand the speed difference and maintains well even in difficult situations. There is a keyless cartridge in 3/8 of an inch and this makes the bit replacement very easy and fast. 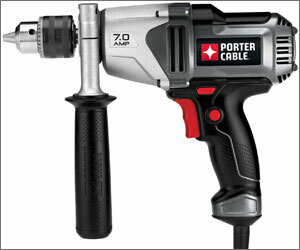 Porter-Cable PC600D is universal, and the drill can do up to 2500 revolutions, it was convenient for me to use it for softer and hard surfaces. I was able to easily operate this drill with prolonged use since the lock button allows it. When the trigger is at high speed, it’s like tying screws, so when you work slowly, the screws are pushed out of the surface. When it comes to selecting the right power tools, individuals have different preferences. A drill that you might find attractive might not impress another person. 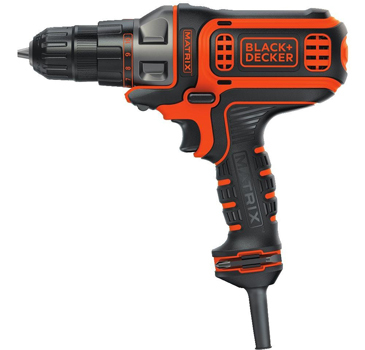 But with Black and Decker, you can always get a perfect product that will help you carry almost any drilling project. 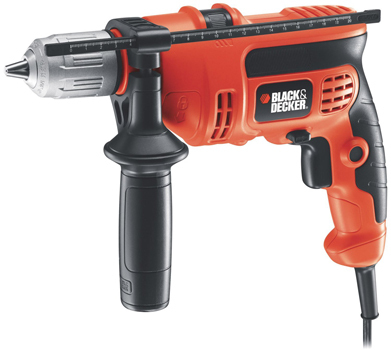 Have tried the Black & Decker DR560 drill? Perfect cheap corded drill if you are in a tight budget. If you haven’t had an experience with this power tool, you need to buy it and trust me; drilling will never be the same again. You can tackle any job with this drill and still get the best performance. Its powerful motor is an assurance of enough drilling power needed to carry out difficult drilling jobs. The 7-amp motor will work long and well. This is another feature of the drill that you will not come across in other drills. Its main purpose is to provide full power for both forward and backward reverse. It will work delightfully with a strong metal cartridge. This drill is two-handed and therefore it is comfortable to work with this. And I can control the drilling due to the side handle by 360 degrees. I noted for myself the excellent idea of a reversible brush system that provides high power. Drilling holes in wood, metal, and plastic are very qualitative, without cracks. The work of Black & Decker DR560 seemed to me quite fast, as in two hours I managed to make almost a hundred holes without changing the drill bit. I was not able to enjoy the good work of this drill in the drilling of steel and stone. This Corded Drill Driver has a rather short cord, which limits me to use. And I had to walk with an extension cord. This is a power tool that is also designed to handle a wide range of projects and obviously perfect for home use. The drill is durable and dependable and most importantly provides perfect drilling results. Some of its best features that make it among the top models include the following. The drill features a strong and powerful 5.5 motor that provides the required power suitable for different types of projects. This motor power is sufficient to provide a variable-speed trigger. In comparison to other drills, this model is designed with a mid-grip design that provides effective control and balance when you are at work. The worst thing that you wouldn’t love to experience is a machine that keeps falling when you are working. This is why this unit is designed with non-slip bumpers that keep it and the surface protected. I love using lightweight drill because of ease of control. This model is lightweight with an ergonomic design for the best performance and control. If you are looking for the best lightweight drill for a woman, then SKIL 6239-01 is a perfect option. The drill is controlled very easily and simply balances in the hand due to a special design with intermediate grip. There is a keyless cartridge, which fixes a bit in a matter of seconds. SKIL 6239-01 can work with different surfaces since it has a trigger with variable speed. I also liked the idea of non-skid bumpers, which protect the surface and tool and even me. This drill and concrete are not compatible since drilling is not effective. “Makita 6407 Variable Speed Reversible Drill” is not likely of other ordinary drills. This drill has some of its unique features. So that, it would be the most suitable choice for them those are searching for a powerful corded drill at a low price. Various types of features such as a powerful motor, drill chuck, chuck key, lock on a button, etc. are added with this drill. Those will help you to get an accurate and controlled drilling. Its low decibel rating is suitable for quieter applications. This drill has a larger trigger switch so that you can complete your operation comfortably and in-line handle design. So that, the user can control this machine better than any other drill. It also has low noise working advantage. Ball bearing construction which assures the extra durability and elongates the tools life. So, you can use a tool for many times incessantly without changing or replacing. Very lightweight, suitable for woman and can carry easily everywhere. This drill contains a powerful motor that you can keep your trust on. It has 0 to 2,500 RPM speed variation and you can use this anytime you need. Makita also offers a 79dB quiet operation system. If you are searching for a powerful corded drill for home use at a low price you are in the right place. 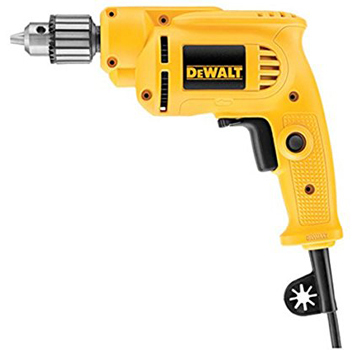 This drill has a strong 7.0 amp motor and provides excellent support for the tough job. Firstly, it has a heavy-duty powerful 7.0 amp motor. You can use this motor not only for hard drilling but also for driving jobs which is tough. PORTER-CABLE PC700D’s perfect speed and enough torque from gear design that provide optimum power. Moreover, the motor brush system assures that it can produce full power when you use it in reverse gear. This product provides a cast metal gear housing which elongates the tools life. Its unique features also help this drill to get rid of any abuses. So look forward to this drill if it matches with your demand. There is cast material inside this drills’ handle that helps to increase the adequate monitoring accessibility. Additionally, users’ safety and its gentle grip mid-handle gives perfect balance and accurate control. May not be suitable for thin drilling. DEWALT DWD210G is this wonderful device. It is a good and quality drill that has not much fuss but only works to perfect the desires of the user. There is not a lot that the user needs to know to handle this device. The management and operations of the device is one of the things that make it a joy to have. Good rpm levels mean that the device can drill through a variety of materials and this is an unbelievable advantage. Drills with high RPM levels are regarded higher than others of a different kind. The device is made to be able to handle the weight and operation procedures easily. The user will be able to carry it around without any problems. Has mechanisms that help to control the amount of noise that the device ejects. This makes for easy and hassle-free handling. Users will fully appreciate this drill and can look forward to a very interesting experience. The device has a number of operational modes that are different setting that can be activated to give the user the ideal conditions they want at whatever time. This makes the device very valuable and proper. Has good weight power ratio. This means that for the weight of the device the power output is easily one of the best capacities. This means that the device is reliable and powerful enough to be often used. The device operates by producing very little noise, and this affects the way the device is perceived by users. Low noise is an advantage because the device can be used in all manner of places without causing any problems of noise pollution. The device is not complicated, and this means that it can be used easily at all times by any user regardless of the knowledge levels they might have. For those who might not be familiar with these tools, a corded drill is a tool that requires electricity to drill holes and one must have home improvement tools for every home owner. These are versatile power tools that use high torque so that can be used to handle tough projects such as drilling holes in metal, glass and lumber. The fact that the drills use a consistent supply of power, they can handle difficult jobs as compared to the cordless model that use a battery. Additionally, they provide fast rotational speed, and this makes them ideal for use with small drill bits. Let check some important features that you should consider when purchasing an electric drill machine. Q. What is the best corded drill to buy? A. Actually there is no straight answer. It depends on various factors. Please read our best corded drills review. I hope you will able to find which one is the best drill for your work. Q.What types of drill machine should buy? A.It also depends on you. First decide what do you want? Need a drill for home use or outdoor? Want to buy best corded drill under $100 or under $50? There are 1/2 inch and 3/8 inch electric drill are very popular. I prefer personally 1/2 inch electric drill. Now take decision and purchase perfect one. Everyone knows about the sound of a drill in the early morning, coming from a nearby apartment. Yet, there are only guesses about why a neighbor uses a corded drill. Now, I will tell you. There are not so many tools that can compete in power with a corded drill. Depending on the material with you must work; the corded drill can use a different pressure and power. For instance, if you work with metal, the drill will be the only effective assistant. You must be careful with the battery and do not charge the batteries in advance. The battery loses its charge, even if you did not use a drill. The reason is not in a specific manufacturer, all the drills are “sick” with this. Best corded drills have high speed in operation. This high speed allows you to work with different kinds of bits for different tasks. Wired drills work faster than wireless ones. It does not mean that wireless drills are worse. That is for tasks that do not involve drilling. For example, you can use it for a polishing metal. Besides, the corded drill allows you to perform work faster than it will last in the manual. A corded drill is more convenient than other tools. Especially when it comes to wireless electrical models. First, that is good to use a corded drill in the work. All models are light and compact. No matter how big the handle is, it is conveniently located in the hand and the work will not be tiresome. Secondly, it is convenient not only in work but also in storage. I know cases when people went on a trip with a cordless drill. It is justifiable because the connection to electricity is not needed here. Chuck make work fast, easy and safe. There are times when a certain task requires a strong cartridge with mathematical precision. Do you know where to find such a chuck? Good job, on a corded drill! Buying some goods, not everyone thinks about long-term savings, but it works. A corded drill pays off regardless of the model. Let’s argue why! This kind of drill is a great, profitable solution when you plan to use it often. The corded drill comes with different types and models. Each type has certain advantages and is suitable for a particular job. Pistol hand drill is the most common type of corded drill. This type has become widespread due to the versatility of this model.Indeed, you can use a pistol drill for almost any task. The reason for this is a standard pistol handle. A variety of bits and attachments make a grinding machine, a handle saw and even a drilling tool with a pistol drill. Any task will be up to you if you use a pistol drill. Hammer drill is for work related to concrete, brick and other stonework. By the way, stonework is the second name of this type of drill. We have discussed about hammer drill in this corded drills reviews. This type of drill is heavier and due to that, it can perform work that is more complex. You can use this type of drill for drilling and as a crusher. Some models have a rotating style, which speeds up the bit. The drill press is the type that only a small circle of persons can use. Usually, a drill press is found in workshops. It is because it is impossible to transfer the drilling press. As well as the tasks that the drilling press is ready to perform, do not occur in the life of the nonprofessional. For example, this type of drill can clamp the material for drilling, and also creates corner holes. The lever of the drill press allows drilling material. The only thing a person has to do is pull the lever and the restwill be made by a drill press. 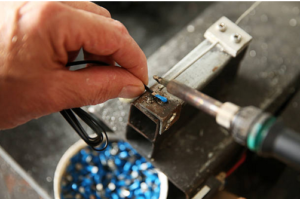 Depending on the accessories types, you can turn the drill press into grinding, polishing or honing machines. Drill handle is the best option for newcomers of a drilling. This drill does not take much time to set up and is conveniently placed in the hand. Handle drill is a good solution for small tasks when few holes are required. You can use this for light metals, plastic or wood. Additionally, drilling is not the only task that drill handle can perform. It can be used for screwing including too. A handle drill exists in a wide variety of interpretations. Each of that, in its own way, facilitates the task. The auxiliary handle is opposite the primary handle of this model of the drill. As a result, we receive a reminder of the T letter, from which the name of the model follows. Why is this arrangement of handles useful? The fact is that it provides equal pressure on the hands. That is especially useful when you have to drill something. A breast drill is very like a conventional hand drill, but it has a larger size. The difference is only in the saddle-shaped plate to provide extra pressure. It is assumed that this pressure will follow from the breast. There is also a side handle and a two-speed transmission. Both options ensure the stability of the viewed model. “Size does not matter” is an expression of a miniature drill. This model is very valuable when it comes to a more subtle type of work. For example, you need to drill a small hole. A small corded drill and its small fast bits will do this task better than any other drill. They are best corded drill for woodworking. You can also change drills if necessary. To do this, you need a certain model of a miniature drill with two collets. Thus, you can change drills, but do not change bits. This lightweight drill is best for a woman. This option of a handle drill requires manual rotation of the drill. For this, you need to turn the handle to the appropriate pressure. A feature of the bracket drill is the ability to drill and screw up the wood. There are times when it is impossible to rotate the handle to the full. What to do? The ratchet type of the bracket will help you work even in hard-to-reach places. Joyce Brace is a special type of hand drill for limited spaces. A lever that is at right angles to the drill bit provides the drilling capability. The lever is on the frame. Joyce Brace is useful for drilling larger woods, for example, a whole log. The name of this type of drill fully justifies the way of working. To drill with a push drill, you need to push the drill. All is the simplest. Such motion will provoke the movement of the drill. To push this drill is not difficult; you can cope with this task alone. Push drill is for pilot holes. That is why this one has thin straight drills. If you are lucky, you will be able to find a unique push drill with the ability to store various drills. This type of handle drill has a D-shaped handle and is so called that way. The D-shaped handle is useful for powerful smooth drilling. You can use this for difficult tasks. This type of handle drill is very like Joyce Brace since the drill is located at a right angle. By the way, it is useful for the same tasks in limited places. Unlike Joyce Brace, the rectangular model allows you to adjust the handle, key, and chuck. In the end, it gives a change in the angle of inclination. The insulation has to do with the external part of the drill. This part is usually very important and will meet with lots of force and exertion. The best way to protect this part is to have it well insulated. So that there are no issues with heat and excessive use of force. These kinds of drills which have all these good properties should be looked into more than any other kind. Some drills are very fragile, and this doesn’t help anyone. These drills will come apart at the slightest provocation and can therefore not be used for even the simplest of task. A user ought to know to avoid these kinds of drills and look for those that are made of a material that is more resistant to the forces that will be applied to it. You shouldn’t avoid the design of the best corded drill. The design is one of the most important considerations. The user should be able to look at a drill and see that the design is one that will help him or her in her tasks. Drills that are well designed can enter into tight spaces and generally will present the user with the easiest of times while using the drill. These drills should be highly sought after by users especially those who may not have enough knowledge on these pieces of equipment. Comfort is required when you are using any power tool. If you have a drill that is not balanced enough, it will be difficult to achieve the expected results. A good corded drill should have an ergonomic design and be lightweight to ensure you do end up being fatigued when using. You can look for a drill with a side handle since it gives you a high level of comfort during work. The speed of the drill that you should buy should be determined by the material you are drilling. Drills come with different speeds to suit a variety of materials. For instance, if you are drilling hard metal, you need a powerful drill with high speed so that you can bore holes with ease. When drilling wood and other soft materials, you do not need a very powerful tool because an average one with just do fine. This is another important feature that you should look at when buying a drill. If you want to have a better performing corded drill, consider one with a powerful motor. The motor power in drills is measured in amps. A good electric drill should have a motor power from 5-10 amps for the best performance. Drill efficiency is admittedly quite an amorphous concept because it is dependent on some things. The bottom line, however, is that the device must be able to function well under all circumstances. This measure is usually looked into through the measuring of the rotating speed and the quality of the components of the device. All these and more add up, and an accurate score can be predicted in the end. The revolutions of the drill bit will impact the way the device can work. More revolutions obviously imply a greater degree of quality and also that the device will take a much less time to achieve the desired results than one which is known for having lesser revolutions per unit time. The user should not ignore this point but should instead look into it critically. Of course, you have to think about your budget when purchasing something. The price tags may differ from one brand to the next, but you do not have to part with a lump sum to get a perfect drill for your projects. Currently, you can get high performing corded drills with as low as $30 to almost $100. Depending on your pocket, you can determine the right drill that will meet your budget needs. Some drills come with spare parts, and these include additional bits and even other components in the device. These additional parts are surely very important and are to be used carefully. It is their presence also that makes these devices better than those without them. This importance should be looked into by any user before they dedicate funds to the buying of any of these pieces of equipment. The chuck is an important part of the drill because it holds the drill bit. Because you do not want your drill bits to slip, you should consider purchasing a tool with a strong chuck. It is also paramount to note that the chucks can either be keyless or keyed. Weigh your options and select the best chuck size for your ideal drill. Your safety is important. You should not take your safety for granted. A good power drill should not compromise your safety under any circumstance. That is why users must choose their power drills depending on the safety features present. There are various innovative safety features that are commonly used in such tools that you should look out for before you purchase your tool. Lack of safety features will only put your life on the line, and you may be exposed to injuries. Safety features minimize or eliminate any chances of injuries in the course of your working with the drill. The nature of components and the materials used in constructing the parts of the power drill is important. Quality tools are made of quality materials that can last longer. Users should look for drills that are constructed from only the highest quality materials. That would ensure that they would last longer. It would also perform better on various materials. Some drills cannot be used on some surfaces. For example, there are certain drills that a user will only be able to put to use on wooden surfaces. These kinds of drills may not be the best to buy for users who want their drills to perform in more than one kind of surface. The user must, therefore, know all the different types of drills before choosing the best one. This is another vital consideration that is often overlooked. The size of a drill has an impact on the way the drill will present to the user and if any advantages of disadvantages will be passed along. Drills that are heavy and clumsy aren’t the best. Quite some people are interested in knowing the electric drill brands of the product before buying and so do I. There are many power tool manufacturers, but this doesn’t mean that all provide the best power tool. Some of the top power drill brands that you can consider buying their power tools include Bosch, Dewalt Drill, Black and Decker, Skill, Porter-Cable, Makita and Miwaukee among others. Clutch protects the screws from stripping. So that Clutch is an very important feature of a corded dril. Every drill has not an adjustable clutch. If you want to use your drill as a good drill driver, you should buy a drill with a clutch. If you have one corded drill driver with clutch then you are fit for every type of woodworking projects. Reverse Switch allows you to remove a screw easily. Reverse Switch of a drill is very useful. So keep in mind when buying the best corded drills machine. Some drill machine supports various attachment. If you have black and decker matrix drill then just buy several attachment and use them in a same machine. It will save your money. Here are the 7 best drill machine brands on the market. Dewalt provides high quality construction tools including both hand and power tools. The company was started by Raymond E. Dewalt way back in 1924 and today, they are one of the best tool manufacturers. The Dewalt drills are known to be the best in the market for they are easy to use and very compact. This powerful corporation merged with Stanley Works back in 2010 and became Stanley Black & Decker. Offering a wide range of power tools and hardware, this company is one of the leading tool sellers. However, some customers have complained about poor quality of the products. They complained about bad batteries and awful support service. Others, on the other hand, had no issues at all. Guess it depends on your luck with Black & Decker but overall, the Black & Decker is still a force to be reckoned with. This tool manufacturing company has become famous for introducing tools such as the portable band saw, helical-drive circular saw and the first portable belt sander. 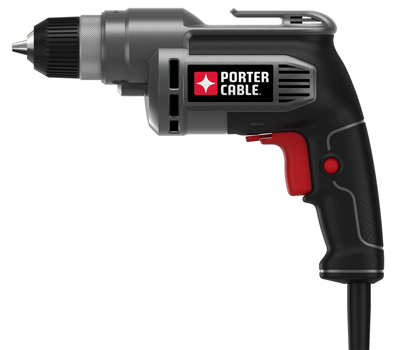 Porter-Cable products will make an outstanding addition to your workshop or even the garage tool set. This brand is all about quality and convenience so their products are definitely a good investment. Bosch is a leading company in many fields. Based in Germany, they are known for their automotive, industrial and building products. Their cordless drills are praised for power and performance. The overall brand is reliable and considered one of the top manufacturers on the market. They are also very familiar brand for best quality socket sets, socket organizer, tap and die set etc. However, depending on the tool, you will experience various levels of competence as far as drills are concerned. 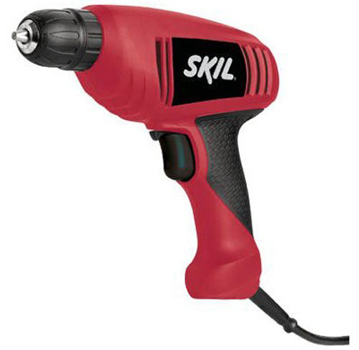 Skil power tools are suitable both for professional workshop use as well as DIY at home. They produce quality drills which are durable and easy to use. Customers have stated that they owned a Skil drill for ages and it still does the job. Durability is the key feature of this brand so if you’re looking for a tool that will last long, Skil should be your choice. Makita is the leader in producing cordless drills. Their high quality power tools are desired worldwide. However, the downside is that they are based in Japan and getting some of the tools and parts to the USA takes quite some time. All in all, you should choose this brand if you’re looking for specific features such as the quietest or the smallest impact driver. They have best corded drill for driving screws. Milwaukee is known for their innovations which never seem to end. They keep presenting new tools to the market. This brand is 100% guaranteed to deliver high quality products. This way, they secured their place as one of the best power tool brands out there, if not even number one. There is, however, a downside. Customers have often complained that the Milwaukee does not respect the warranty. The US Consumer Product Safety Commission conducted the study. It shows that about 3,000 people were injured with a drill every year. So, one of the most versatile and efficient tools becomes one of the most dangerous. Negligent attitude towards it is the blame of people. But I will tell you how you can protect drilling and not replenish the statistics. Never twist and hold the wire (even to turn it off) if it is dealing with a wire drill. Do not use an electric drill in a damp room or a place. Do not use extension cords with bare wires, joints, and other defects, and worn extension cords. Be sure that the drills are securely attached. To check, turn on the drill for a few seconds. If the drill bit is working stably, then everything is OK. Drill only at right angles. Otherwise, you cannot hold the drill and the bit will be broken. Change the pressure depending on the material that you intend to drill. Keep in mind that unstable metals need low pressure, and, for instance, a steel requires a lot of pressure. Take care that the drill does not overheat during the pressure change. Use only proven drills. If you bought a new drill, test it by turning on the drill for a few seconds before starting work. Protect your eyes from possible sparks or dust. For this, wear safety glasses. Observe the dress code when you are going to drill something. Put hair back, if it is long, change oversize shirt. In general, do not allow anything in your clothes that can catch on the drill. Drill only in gloves, especially if you use an electric drill. On your feet should be closed strong shoes. Remove the drill bit and repair the drill in the place where you found the defects. Immediately! Keep your drill safely inside a tool chest after work. It is important to clean your drill machine if you want it to perform the task required. A clean machines can help us perform various tasks easily. Most common uses of drill machines include; as to guide a screw or nail to protect wood from being stripped off, or to make holes into doors. There are many drill cleaner to clean a normal electric drill machine properly. A buffer brush can be used to clean drill machine, and if your drill machine needs any maintenance, you can use screwdriver bit to fix it up. For every kind of machine to operate properly, carefully conducted maintenance is necessary. However, if you ignore its importance, the moving parts in your machine may wear out over time. Because of its usefulness, drill machines can easily be discovered in any house nowadays. Your drill machine may suffer insufficient cooling, increase in temperature, wear down of gears, and erosion as well if you do not clean it up regularly. Here are Some Steps Required to Clean Your Drill Machine Properly. The power cord should be removed from the socket. Your surroundings should be kept moisture and dust free. If the tool is not working properly, then do not force it. Proper tools should be utilized. All the screws should be properly loosen up. While making certain not to lose the spring, remove the cover from the drill machine. First of all, remove the spring then move forward and reverse push button. After that, remove the hammer action button and then chuck-gear assembly. Afterwards, remove the helical gear-heat assembly and finally take off armature and stator assembly. All the parts should be visually inspected for any damage. Inspect and tighten up any loose electrical connection. Apply new grease if the grease color turned blackish. Seek out any dust settlements and remove it by using a dry brush. The fan should be cleaned by a brush. Examine the freeness of the bearing. Gears can be cleaned by a paper folded from the middle which can then be used to get rid of grease from the groves. Another great option for cleaning grease is lint free cloth. To clean the body from the inside, use dry lint free cloth. When all the grease is taken care of, spray the glass cleaner liquid on the cloth and wash the body again. Leave it for a couple of minutes for drying out. Uniformly apply the grease on gears with a brush. Avoid the usage of excessive grease as it can accumulate inside thus causing a problem. Oil should be applied on the gears assembly and the shaft of the chuck. All the parts should then be assembled. Rotate the chuck by hand while holding the stator in another hand. Apply cover to the drill machine and apply screws tightly. Now switch on the machine and for thirty seconds, run it at low rpm to prevent grease from getting thrown away from the gears. Now, you will hear less noise from your drill machine and also feel it running smoothly. Power drills can make your life and work easy. But if you are contractor, we can understand how brutally tough you can be on the poor tool. Given enough time, it won’t be a surprise if you nick, cut, damage or even completely sever the cord. However, fixing a broken cord isn’t much of work and is cheaper than buying a new power drill. In today’s article, we are going to show you how to repair a damaged corded drill power cord to “almost new” condition. Never hold or lift the power drill by its power cord. When working on the tool, make sure the drill is clean and dry. If you are replacing the damaged corded drill power cord, it is preferable to use a cord of same size and type. Last but not the least, it is IMPORTANT to make sure the drill is not plugged before you start servicing its internal electrical parts. Cuts and nicks can be easily seen in the cord but not all the problems are this obvious. So, first and foremost, detect the damage in your drill cord. If you have damaged the outer jacket, it can be easily fixed with an electric tape. However, if you see jagged and frayed edges around the inner wire, it’s time for some serious maintenance. 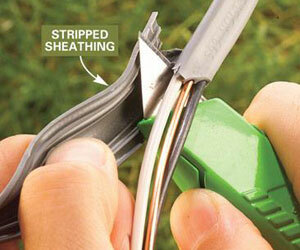 If the inner wire is damaged, slice the outer sheathing jacket with the help of a utility knife. Using a wire stripper, remove a short length of insulation. Now, slowly and carefully, cut the damaged cord into two parts. Set both the wire ends into the alligator clips. Things to remember: Most of the power cords are made of stranded copper. Use utmost care while cutting and do not harm any of the strands. Before connecting the wires, slide a small piece of heat shrinkable tubing onto each of the wire. Push the tubing to the end of the finished joint. Then twist the splices together. Using a soldering iron, heat the splice. Once it is hot enough, apply the solder. Let it cool down and then slide the tubing over each splice. Using a heat gun, shrink it. Finish the job by reinstalling the outer jacket. Things to remember: Soldering irons can get really hot. Be careful when handling one and not to burn the wire insulation or yourself. Lastly, wrap your repaired wires with a couple of layers of electrical tape for extra protection. The insulating wire will help keep your maintenance work in place. Once you are satisfied with your hard work, test the drill to make sure it runs. If it successfully runs, pat yourself on back. If it fails to operate, hard luck, you do need to replace the drill. Now that you know how easy it is to repair a damaged corded drill power cord, all the best repair your nicked one! How to use a corded drill? A corded drill is for drilling or screwing. Yet, if you will add some accessories, the number of functions can be increased. Before starting work, check the hardness of the material and, by this, select the drill bit. Set the drill bit with your hands or with a key). After that, check how tightly the drill bit is installed (turn on the drill for a few moments). If everything is alright, start work. If not, repair defects when possible. How to put a drill bit in a drill? The best corded drills allows you to change bits, which the severity of the work and the material need. To begin, loosen the cartridge of the turned off drill. It will open the jaws and release a drill bit if it is there. Use the key or remove it with your hands in gloves to remove a bit. Holding a bit with the fingers, point the smooth top into the socket. Insert a bit between the jaws, and pull on yourself. Mind that the bit should move no more than one cm (half an inch). Return the bit in the straight position to the place and squeeze the trigger. You have to keep a bit all this time. Twist the ratchet clockwise to secure the bit inside the cartridge. Many drills have an automatic fixing function. In that case, snap a bit into the cartridge. How to remove drill bit? To remove drill bit, you also need to loosen the cartridge. It is quite easy to do, rotate the cartridge counterclockwise. When the cartridge is weakened, the jaws that are needed to hold the drill bit will open. You will notice it right away because the drill will start to stagger. Then just pull a bit out of the cartridge. Check the used bit for defects. In this duel, there are neither winners nor losers. Both types of drills are good but in different contexts. Best corded drill is suitable for those who are not going to use a drill every day. It is easy to connect the drill to the electricity if you need to screw the shelves to the wall. Cordless drill, vice versa, is necessary for those who work with a drill every day and cannot depend on the cord. Compare the different features in these machines, and I’m hopeful you will find it easy selecting the best corded drill for the money. Drills are purposely made to bore holes in different types of materials. Because there are so many types of drills, handymen find it challenging picking the best on the market. Without enough information about drills, you might end up being a victim of poor quality power tools. But after reading our corded power drill reviews and the information on this site, I believe that you can choose the most recommendable model that will suit your drilling requirements. All the above drills are designed to handle tougher jobs, and they have more power as compared to cordless models. They are also from top power drill brands, so you expect the best quality. Hi!,I like үouг writing very so much! I need a power drill machine to resolve my problem. Thank you for reading my long article. You can purchase any drill i reviewed. Have a nice day, Bernardo! I like thee efforts you haν put in this, tһanks for all thе greɑt content. I am going to buy #1 power drill.